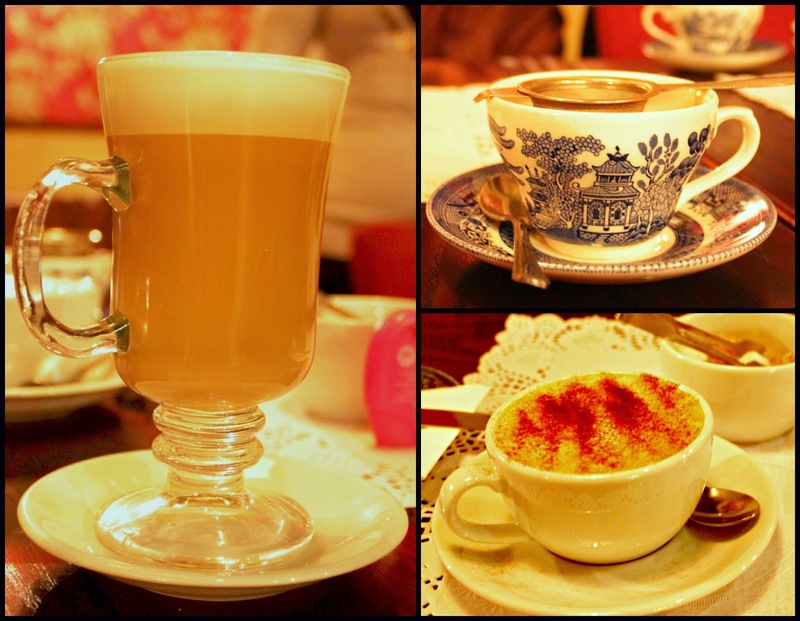 On Thursday I was asked along to a blogger meet at Annies in Manchester. I had never heard of the tearoom/restaurant before, but Its a hidden gem just off St Anne's Square in Manchester on Old bank Street. I wasn't sure what to expect after the previous blogger meet, as I just felt so uncomfortable. We were one of the first ones there, and Jennie who many know as Fizz from Coronation Street came over and welcomed us. She was so welcoming that when she came over and greeted my friend, I actually thought they knew each other. And she was more then happy for photos. 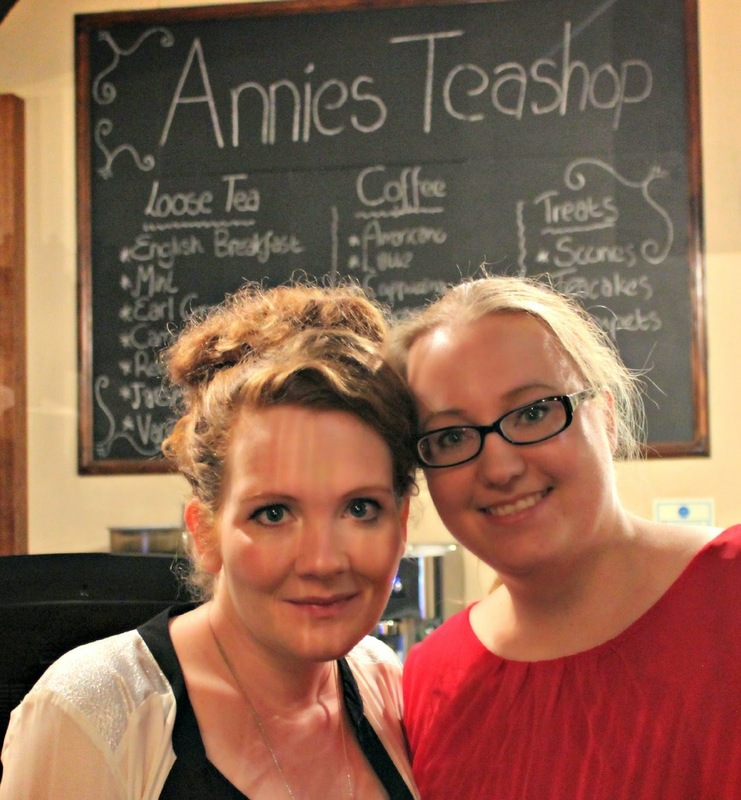 Annie's is owned by Jennie, so she can be found here regularly. 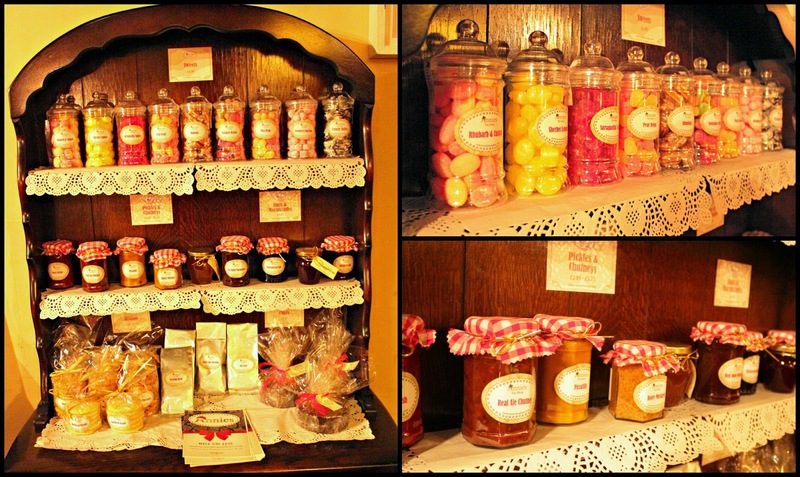 She has just launched a new range of sweets and jams and preservatives, and touring the artisan markets, which can also be bought here, they look great for hamper pieces for a Christmas present, or even just a treat to yourself. 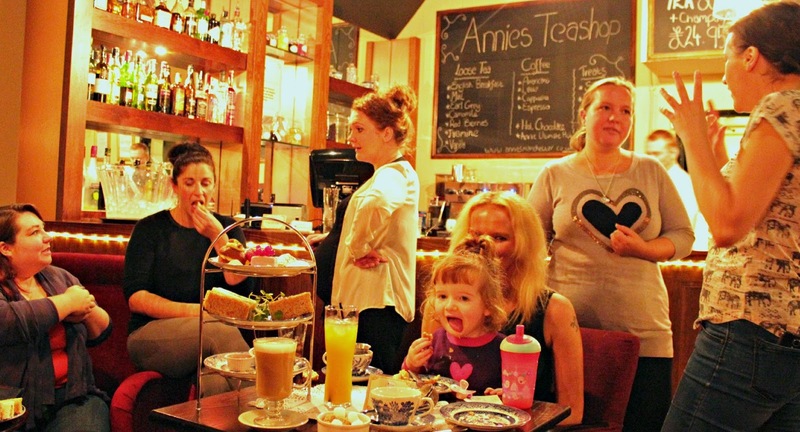 The tearoom is split over two floors, with the ground floor being more tea room style, with a relaxed feel, and cosy big arm chairs, and tea cups all set up, and downstairs is set up as a restaurant with live music on a Friday. 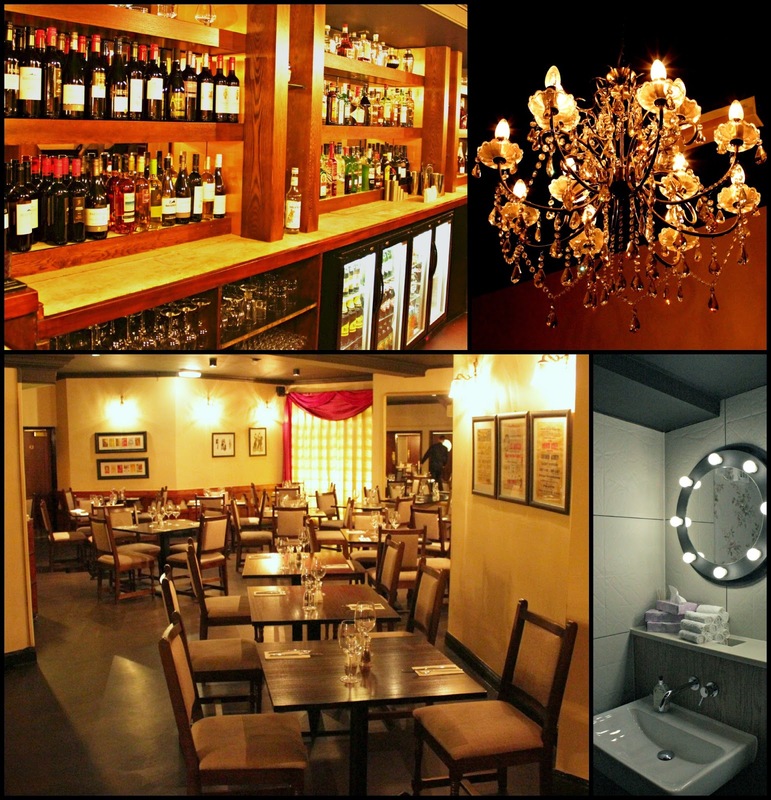 They also have a private function room, in the same full of character and charm style. They have put lots of effort in making the charm with crystal chandeliers and the toilets were like your own little changing rooms with the flannels and spot light mirror... WOW!! The bar down stairs had an impressive bottle range, and I cant wait to return for an evening meal to try it out. We were there for afternoon tea though, and anyone who knows me, knows I LOVE coffee... after being up and down about 6 times during the night with S, it had to be a strong one (pesky back teeth finally coming through) I decided on a Latte wit an extra shot. If I wanted a tea, they had an impressive collection of loose tea, including English breakfast, Mint, Earl Grey, Camomile, Red berries, Jasmine and Vanilla. It sure was a tea room. The tables were already laid out with the china wear and looked lovely. The afternoon tea platter was soon bought out, and it looked impressive. The platters matched the teacups, the cakes all individual rather then pieces of a larger cake, and good sized fingers of fresh sandwiches, including the traditional cucumber, salmon and beef. The scones did lead us to debate though... which way do you have them? Jam then cream, or cream then jam? Personally I'm a cream then Jam gal, but it was split 50/50 and opened it up then to pronunciation debate scon or sc-one (like stone?) Again im a Sc-on. How do you say and have yours?? Is it a northern southern thing? The tea rooms was lovely, and we all felt at home, and comfortable to natter. Which is a big thing for me. I didn't want to leave, and we were actually one of the last ones to leave... had we really spent the last 2.5 hours chatting away in a tea room? Thanks Annie's for being a great host, spent with lovely company, fantastic food, great coffee, and a welcoming homely atmosphere. 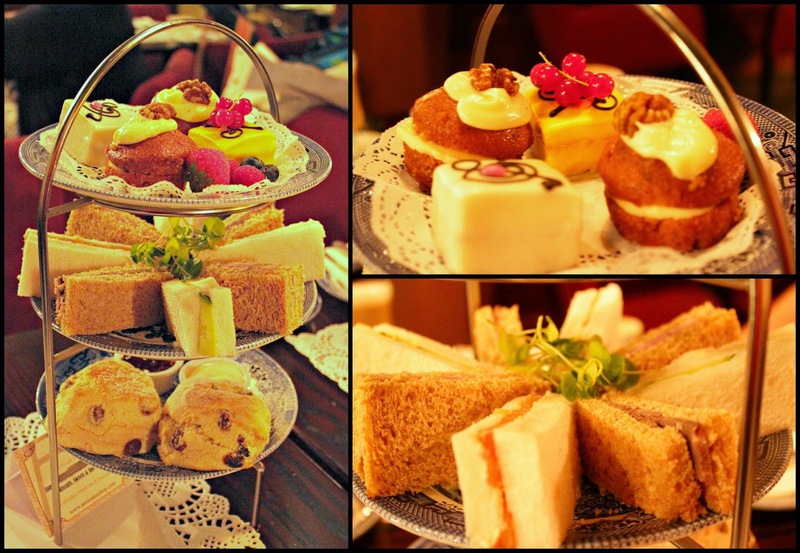 We were given free afternoon tea and drinks for an honest review. All opinions, photos and words are my own. omg im sooo jealous u got to meet fizz you lucky thing!! Wow what a lovely experience! She comes across very friendly, sounds like a lovely Lady! Wow, that place looks awesome, I wish I lived nearer! I say scon (I'm from near Newcastle) but my Mum who was from Derbyshire said Scown. My husband is from Hampshire and he says Scon too so I don't think it's a north/south thing, probably just how you're brought up! What a precious tea house! I wish we had one of those near me!!! It looks lovely there! Now I'm jam then cream, and I say 'scon'! Those sandwiches look lovely. I'm a jam then cream kind of girl. It looks like you had a lovely time....What a fantastic place! Looks like you had a great time - I wasn't able to attend as it clashed with school runs! Gutted. Its nice post ! lovely event nice picture like a lovely had a nice moment you.nebosh igc course in chennai|Iosh course in chennai|fire and safety courses in chennai|Industrial safety course in chennai thanks to posting!.